Do you love Krispy Kreme? 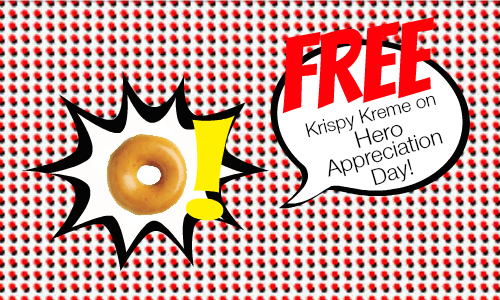 On April 28th, they are hosting a Hero Appreciation Day where you can honor your hero with one dozen FREE doughnuts when you buy a dozen! Don’t worry, you don’t need to know Superman personally. Your hero can be anyone: your mom, a teacher, a police officer, etc. This is a great way to treat yourself and honor your hero with his or her own FREE sweet treat. There is no coupon necessary and the offer is valid only on 4/28. Make sure to check with your local store to see if they are participating.